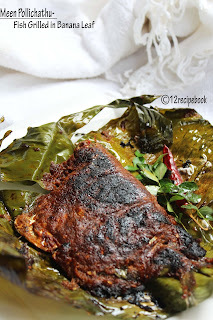 Meen pollichathu is a traditional Kerala style grilled fish preparation. The fish is covered with a tangy and spicy masala coating, wrap it with banana leaf and then cooks on low flame until the leaf gets dark brown. 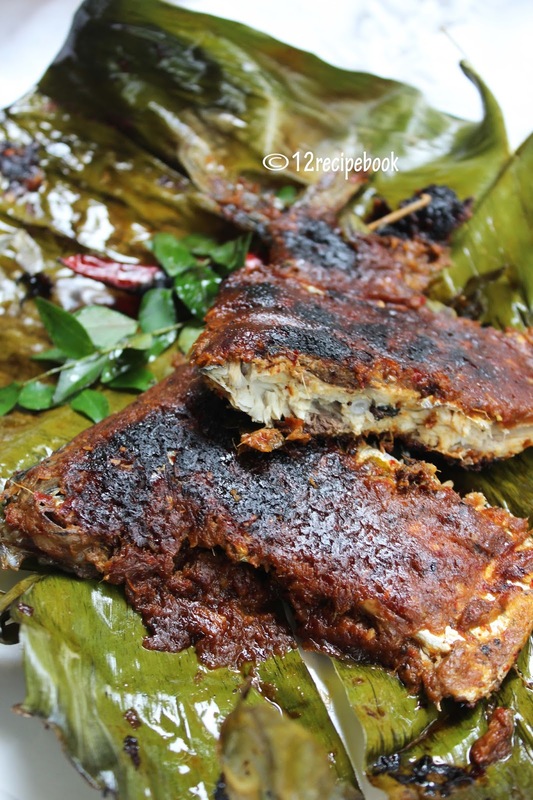 This grilled fish have nice aroma and finger licking taste. Fishes like pomfret, pearl spot fish(karimeen), Silver belly, etc are used for making this. Choose any big fish or fish pieces (which is suitable to fit in your pan) for making this. Clean the fish as a whole and make small slits on it. Heat 2 tbsp of coconut oil in a pan; sputter fennel seeds, followed by fenugreek seeds and whole pepper. Add dry red chilly and saute for few seconds. Add tamarind and mix well. Add chopped ginger, garlic and pearl onions; saute for about two minutes until aromatic. Add Salt and switch off the flame. Allow to cool completely and after that add it in to a a blender and make a smooth paste out of it. Now place a clean banana leaf; pat it dry; apply coconut oil on one side; spread little prepared masala paste on it and place the fish above that. Again top the fish with masala paste to cover evenly. Place a spring of curry leaves on top; apply coconut oil on top of it and wrap this fish gently with the other side of banana leaf and tie it carefully without breaking the leaf. Wrap the remaining fishes also like this method. Now cook it by placing on a heavy bottom pan by covering the lid and on low-medium flame for about 30-40 minutes (flip the other side in half time) until the banana leaf gets nicely darken. Serve hot with steamed rice and enjoy!!! 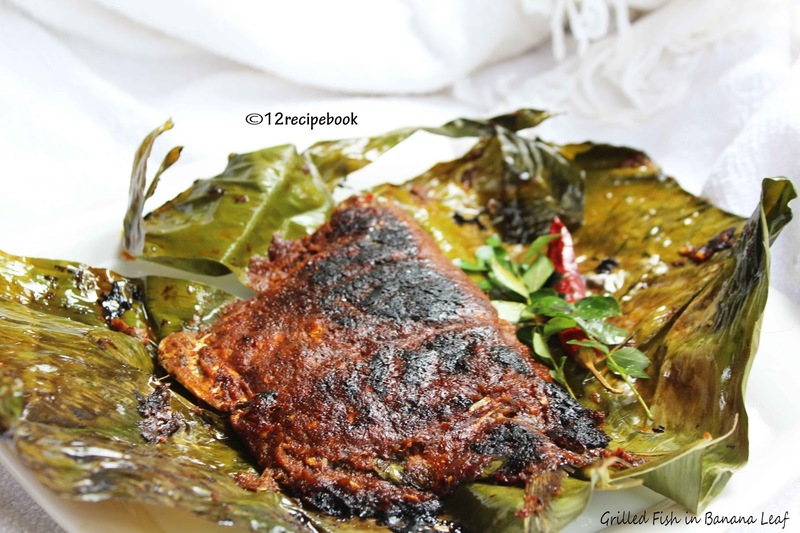 Each banana leaf must correctly touches the bottom of the pan; then only it will get grilled nicely; if its not fit properly; cook one fish after one. You can use your favorite masala topping for covering the fish. You can decrease the amount of tamarind used here; if you don't want tangy taste.